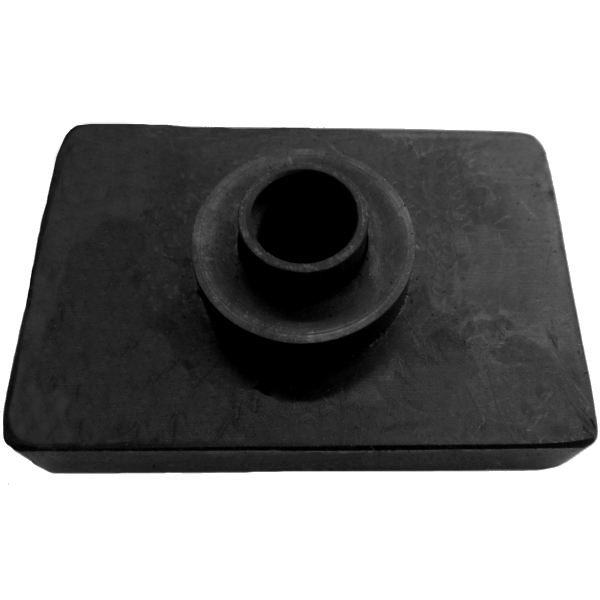 Cushion assembly body mounting pad. 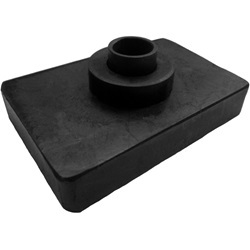 Fully molded rubber with metal core, locating collar and metal bolt sleeve. Rectangular. Three inches (3") length by two inches (2") width. 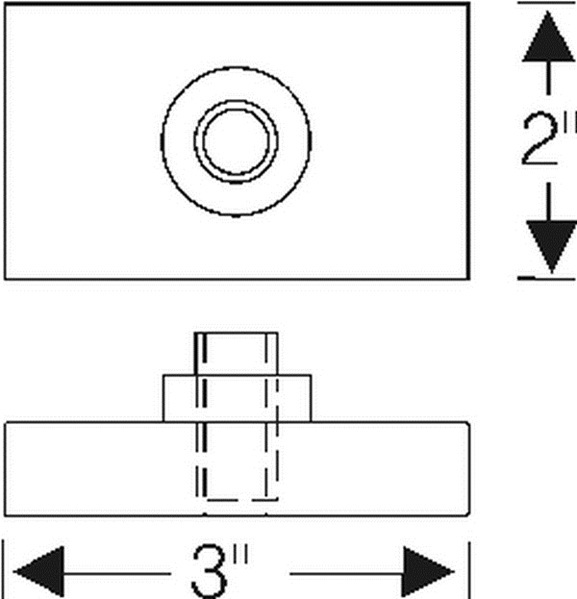 Seven sixteenths inch (7/16") inside hole diameter by five eighths inch (5/8") bolt sleeve outside diameter by one and one eighth inch (1 1/8") locating collar outside diameter. 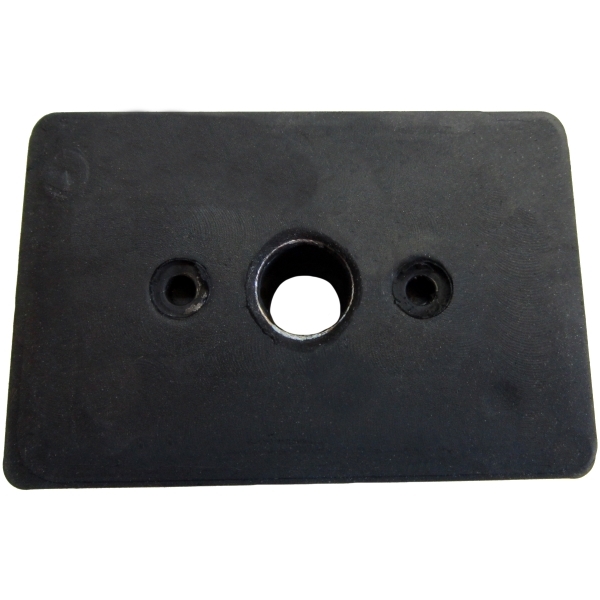 Nine sixteenths inch (9/16") rectangular base height by five sixteenths inch (5/16") locating collar height by one fourth inch (1/4") bolt sleeve height by one and one eighth (1 1/8") overall height. Chevrolet useage for bolt location is as follows: 1958-1959: All closed styles, for body bolt # 1. Replaces factory #3746214, 3746215, 3760888.